▼Shift Into Spring Credit offer (value up to $1,000) is available to qualifying retail customers who cash purchase/finance/lease a select new, in-stock 2018 and 2019 Mazda model from an authorized Mazda dealer in Canada between April 1–May 1, 2019. Amounts vary by model: $300 on all 2018 Mazda3/Mazda3 Sport, on all 2018 Mazda6, on all 2019 CX-3 and on all 2018 & 2019 CX-5 models. $475 on 2019 MX-5 ST GS models. $750 on all 2018 MX-5 ST/MX-5 RF, on 2019 MX-5 ST GS-P & GT, on all 2019 MX-5 RF models. Maximum $1,000 on all 2018 & 2019 CX-9 models. Shift Into Spring Credit applied before taxes. Some conditions apply. NOTE: Shift Into Spring Credit offer not available on 2019 Mazda3 models. See dealer for complete details. Licence, insurance, taxes and down payment (where applicable) are extra and may be required at the time of purchase. Dealer may sell/lease for less. Dealer order/trade may be necessary on certain vehicles. Lease and finance on approved credit for qualified customers only. Offers subject to change without notice. Have your vehicle serviced today by our talented and certified technicians. Use our quick online application to get started. Had a great experience here getting my first Mazda. Awesome experience from top to bottom. Matt and Phil helped us get the car we wanted at a great price, and got us great value for our trade in. Courtney took care of the financial side and Angela gave me a great tour of my new car, highlighting all of the features. Would happily recommend the entire team. Had an amazing experience with Angela! She is very knowledgeable. She answered all of my questions very thoroughly and took me for a test drive around Orleans. Angela offered me an amazing deal that I couldn't turn down!!! I had a great experience and I love my new Mazda 3! Thank you to Angela and the entire team at Performance Mazda! Buying a new car is usually a stressful experience, but Angela made it fun, stress-free and "no pressure"! I got my car a week ago from Angela she was amazing along with the rest of the staff. They helped my husband and I get the car we wanted with an amazing price. I highly recommend them! 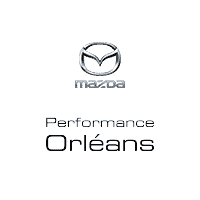 Welcome to Performance Mazda Orléans, serving the Orléans, Rockland and the greater Ottawa area for over 40 years. Our showroom boasts a large and comprehensive collection of new Mazda vehicles, as well as an ever-growing selection of used vehicles of various makes and models. Browse our website, check out our online Mazda inventory, schedule a test drive and investigate your financing options. If you would like any more information, please contact us using our online form, or by calling us at (613) 704-5461. At Performance Mazda Orléans in Orléans, we have Mazda vehicles to suit every taste and budget. Come check out the versatile 2018 Mazda3, the CX-9 Crossover and the celebrated MX-5! Plus, all vehicles come equipped with Mazda’s signature SkyActiv technology. At Performance Mazda Orléans, you’re sure to find everything to meet your automotive needs and all in one convenient location! Performance Mazda Orléans is home to the largest number of highly-trained Mazda-certified technicians in the area. Our dedicated parts and service personnel will always treat your Mazda like it’s their own. At Performance Mazda Orléans, we use only Mazda-certified parts in order to ensure that after each and every repair or service appointment, your car runs just like the day you bought it. For all of your parts, service and detailing needs in Orléans, and surrounding areas, visit Performance Mazda Orléans today! Feel free to contact Performance Mazda Orléans today if you have any questions or if you’d like to schedule a service appointment today! We look forward to meeting you soon and serving you for many more years to come!